After authoring a dozen books over the past seven years, I’m a bit jaded. Being an author and publisher, I am apt to read many manuscripts and scan many titles on the areas I research and write about. New titles I come across don’t often impress me much. But The Sheeriyth Imperative is one that does. 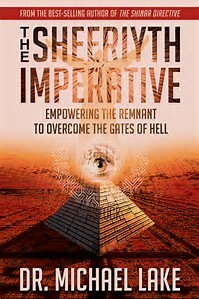 The full title is The Sheeriyth Imperative: Empowering the Remnant to Overcome the Gates of Hell (Defender Publishing, 2016). This book lays it on heavy, demanding readers don their spiritual thinking cap and absorb new insights with a willingness to rethink the way they live as well as reshuffle their priorities. 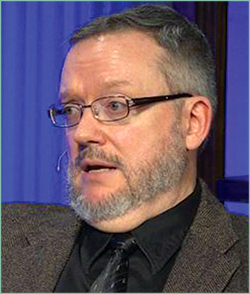 The author, Dr. Michael Lake, challenges all those that dare to pick up this volume to confront the many snares and traps of our Adversary, the Devil, and jump headlong into the fray. The title, The Sheeriyth Imperative, sounds like a Jason Bourne novel. And like the storyline in a Bourne novel, when you understand what the words in the title mean, you know to expect some serious hand-to-hand combat. Sheeriyth is a Hebrew word for “remnant” referring to the biblical fact that “many are called, but few are chosen.” The Bible teaches that God’s people are always in the minority, and sometimes that minority can be tiny. You see, God isn’t a universalist. “When the goin’ gets tough, ONLY the tough get goin’.” The word imperative conveys “you must do something about this” – you can’t just sit on the sideline. Put the two words together and you conclude that God is “looking for a few good men” (and women!) Slackers need not apply. The neat thing about the Almighty is that he doesn’t have to have big numbers to dominate. He just needs those that want to join His cause to be 110% committed to winning. I’ve known Dr. Lake for several years now. We aren’t best friends by any means, but we have an affinity that enables us to dive right into a conversation over email or engage in an occasional interview where we dissect some deep topics. Dr. Lake is sincere, smart, and spiritually minded. And he specializes in spiritual warfare. If you are going to be in a scrap with satanic hordes, you want Michael on your side. Secondly, as I read this book I was repeatedly hooked because the topics he explores are topics that have occupied a great deal of my time spent researching books I’ve penned. For Dr. Lake, these fascinating subjects are those he believes we need to get a handle on if we are to have a chance to win the fight. There are innumerable topics of mutual interest. I only have space to mention but a few of the most common fascinations we share. Like me, Dr. Lake is intrigued by the evil exploits of the Nazis and their blatant connection to the Occult that academic historians virtually ignore. One area in which Dr. Lake demonstrates some deep research concerns the Vril, an odd notion first promoted by mystical author Edward Bulwer-Lytton late in the nineteenth century. It seems a group of crafty German medium maidens, took on the name of the Englishman’s novel, The Vril, for their cozy coven in Berlin. One who is especially noteworthy, Maria Orsic, aided Himmler and Hitler in their war effort. Supposedly, through her mediumship, Orsic brought forth several new and powerful technologies, from within and without this earth, that would be turned into weapons of war. Willy Ley (a German American spaceflight advocate) and Verner von Braun (a rehabilitated SS German rocket scientist eventually heading NASA in the 1960s) would later admit that some of their best ideas weren’t theirs after all. According to their accounts, thanks to Miss Orsic, they “had help” from extraterrestrials in the Aldebaran System, 60 or so light years from earth, as well as The Vril (which dwell deep within the earth, and have been there for eons). Some of the Wunderwaffe (wonders weapons) were breakthroughs channeled by paranormal means. been hanging around with some of my old buddies – the likes of L.A. Marzulli, Steve Quayle, Josh Peck, and Derek Gilbert to name but a few – and he’s pulled together a startling collection of new insights that add much to the ongoing dialogue concerning the infiltration of critters from out of this world about which we had better be aware. The Nephilim – progeny of the watchers – were the giants populating the world in the days of Noah mentioned briefly in Genesis 6. They are relevant nowadays because the demons we contend with in spiritual warfare originated from the spirits of these mutant creatures (half angel, half human) who gave up their ghosts long, long ago. But the last section of Dr. Lake’s combat manual addresses some of those things that we who profess to be in the remnant need to be doing if we are to sharpen our swords and our wits to confront these fiendish adversaries. Broadly speaking, the issue is sanctification, pursuing holiness. But more specifically, it becomes a matter of learning spiritual discipline. For instance, I found the advice on fasting to be especially helpful. Not being one to push myself away from the dinner table easily, Michael’s suggestions have given me hope that I can become more disciplined in this spiritual exercise. His practical approach teaches that we don’t necessarily have to go without eating everything for 40 days. Fasting doesn’t have to be an “all or nothing deal.” We best take it a step at a time so we don’t put ourselves in the hospital. For example, just do vegetables only, for a span of time. Then go without all food for several days. Work up to greater levels of self-denial. The benefit in doing so is that we grow closer to the source of our power in the spiritual realm – the Spirit of Christ. Thus, we get ourselves into fighting shape, engaging in spiritual warfare more effectively, to inflict more frequent defeats upon our darkest foes lurking in the shadows. In concluding this quick review, please recognize that I barely touched on the vast number of topics that Dr. Lake brings to the reader’s attention in The Sheeriyth Imperative. The book is packed with vital information. It is a worthy sequel to his first effort, The Shiner Directive, which focused on who and what is the Bible’s Mystery Babylon as well as the evil legacy of the world’s first empire builder, Nimrod. To be sure, these subjects are not lighthearted. However, for those who count themselves among the remnant and want to make a difference in the cosmic warfare all around us, working through Dr. Lake’s material will make you far more able to wage spiritual hand-to-hand combat successfully. Therefore, without hesitation, I eagerly commend The Sheeriyth Imperative to you. The Sheeriyth Imperative, Crane, Missouri: Defender Publishing, (2016), 356 pages.